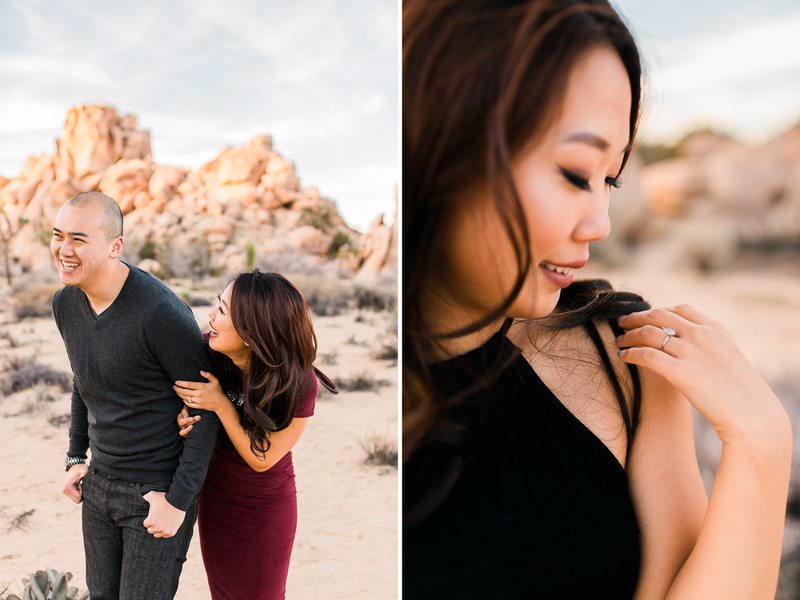 As soon as we planned our trip to Joshua Tree National Park, I knew I wanted to shoot an engagement session when we were out there. 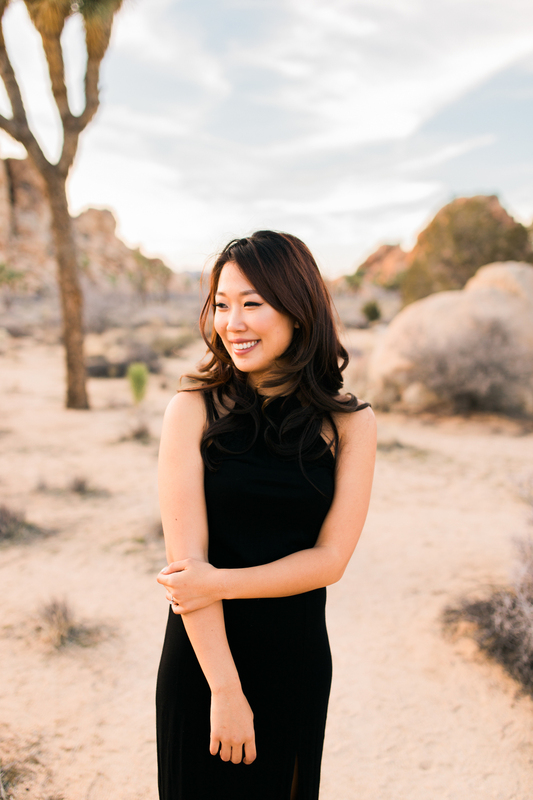 One of my favorite photographers in the field is Ben Sasso, and J Tree is one of his favorite places to shoot (he even hosts a photo camp out there, #goals) so I knew I'd love it too! Through the amazing power of social media, we were able to book not one, but THREE shoots during our time in the park! You can see Randy and Ashley's shoot here, and the other two were kind of two-in-one because the two girls were sisters! It was so fun! Pricilla contacted me first because she had seen my post and she wanted some photos for her website, she is a calligrapher in Southern California and is SO talented! After talking with her, she mentioned that her sister had just gotten engaged and was interested in a session! Since they traveled to the park together, we ended up doing both at once and it was so fun! Priscilla made some beautiful hand-lettered gifts for Eunice and Wilson, and she played the ultimate sisterly role of fixing Eunice's hair and making sure she looked perfect before each shot. It was so fun to have both girls there, we even did a few photos of them at the end that I hope they will cherish for years to come! We absolutely loved getting to know Eunice and Wilson during this session! Their love for each other is so tangible, I truly believe the photos speak for themselves when it comes to how in love they are. Also, can I get a round of applause for the light we got in Joshua Tree? And how beautiful it looks on Eunice and Wilson? I have looked through these photos hundreds of times and I still can't get over how much they exceeded my lofty Joshua Tree expectations! I think we might need to move to Southern California just for the sunlight. Kidding. Sort of. So without further adieu, enjoy these beautiful photos of Eunice and Wilson! a few photos of these sweet sisters! We had so much fun getting to know Eunice, Wilson, and Pricilla. I truly think photo sessions are such a special way to get to know people. It's days like this that I really appreciate how much of a dream job I have! We can't wait to head back to Southern California for their wedding this fall! And if you loved the paper goods (how could you not?) be sure to head over to Pricilla's instagram or website and send her some love!